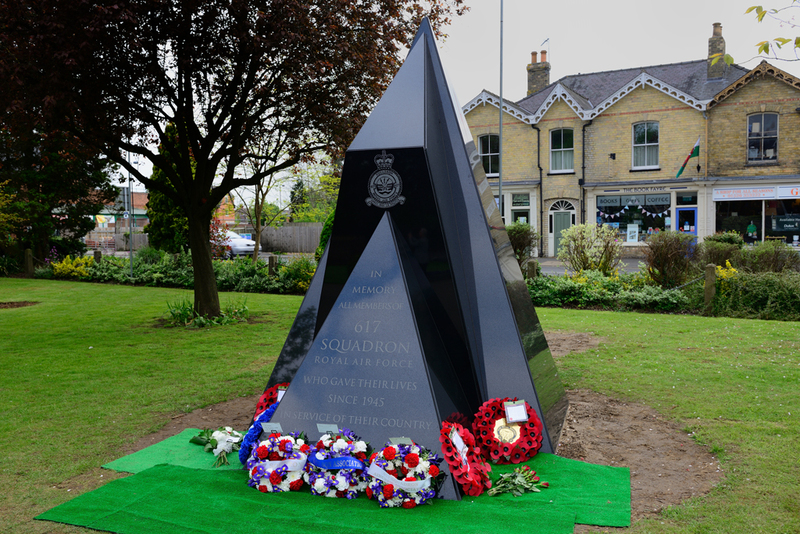 On 19 May 2013 a new memorial was dedicated to No 617 Squadron at Royal Square Woodhall Spa Lincolnshire. The striking granite memorial is to commemorate the more than thirty squadron members who have lost their lives since World War Two. The new memorial takes its design from the wing shapes of Vulcan and Tornado aircraft, both of which have served with No 617 Squadron. 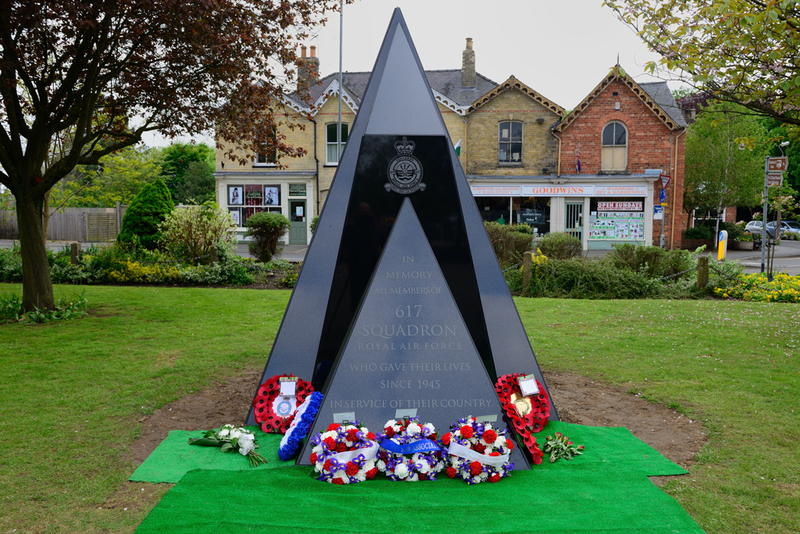 The strikingly designed monument stands next to the existing Dambusters Memorial which commemorates those of 617 who lost their lives in the Second World War.